We would like to thank all our customers for your interest and continued support in Chandler Cattle Company genetics. We do not take the privilege lightly and want to continue to provide you with genetics that will help you achieve your end goals. ​We look forward to seeing you but if you can't make it, we are broadcasting live on DVAuction. Click logo below! Founded in 2009, Chandler Cattle Company has been developing well-designed, functional Angus cattle with proven performance genetics. We focus on calving ease that bends the growth curve and will also offer exceptional performance, maternal strength and carcass quality. Our bulls sire more body depth, muscle and real world fleshing ability than most calving ease sires. Daughters have excellent udder structure, longevity and fleshing ability. Our calves are wide based, square and correct with added thickness. 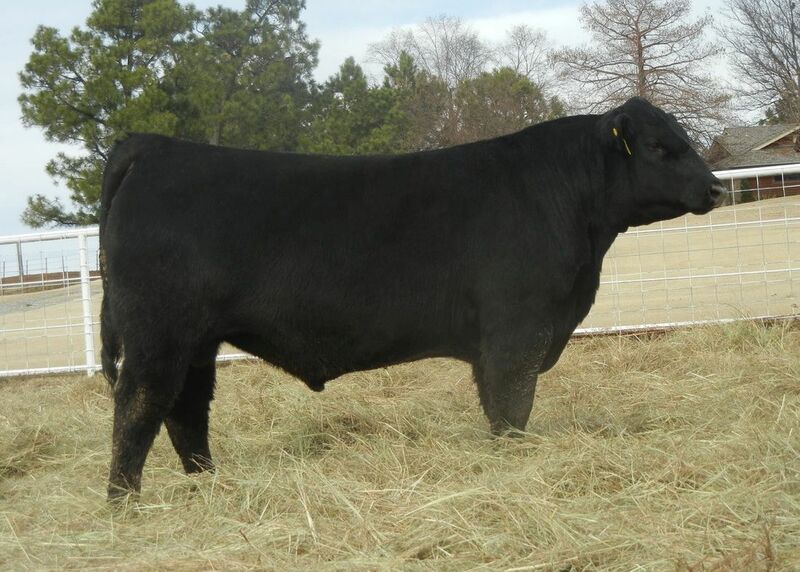 Chandler Cattle Company carries some of the best genetics that the Angus breed has to offer.